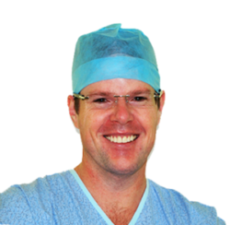 Dr. Justin Greenslade is an Upper Gastrointestinal and Bariatric surgeon who, having completed his advanced surgical training in Queensland, went on to complete four years of further sub-specialty training in upper gastro-intestinal surgery, liver and gall bladder procedures and obesity surgery both interstate (Adelaide) and overseas (Edinburgh and Sheffield, UK). Since returning to Australia in late 2005, he served as the Director of Surgery at the QEII Hospital in Brisbane for almost four years. Subsequently, he has built up a full-time private practice at Greenslopes Hospital, which is now almost completely devoted to obesity surgery.